Loehr Chiropractic & Acupuncture offers a wide range of techniques and therapies to reduce pain and illness. Our doctors are ready to provide you with top-notch chiropractic care and guide you toward the right therapy for your recovery. Everyone’s path to wellness is different. That’s why we offer a variety of therapies that can be used alone or in combination to create the best treatment plan for your unique situation. Affectionately known as “The Rack,” this unit might resemble the torture units that stretched bodies into submission in medieval times, but it is actually specially designed to heal the body through spinal decompression. If you’re dealing with degenerative disc disease, disc bulge, herniation, or some other form of spinal disc injury, we will likely mention this therapy. Decompression therapy is the first choice of doctors around the world for the treatment of patients who wish to avoid surgery following a spinal disc injury. Despite its slightly misleading name, cold laser therapy is highly effective. The equipment sounds like a buzzing bee and sends heat into the body. While it doesn’t feel cold, it does produce a reaction in the body that decreases healing time for almost any condition. Plus, our class 4 laser is the gold standard in tissue repair. Many people find the idea of using electricity as a therapy downright shocking, but inferential therapy doesn’t involve any unpleasant zapping. Instead, we alternate electric impulses through the muscles, which results in relaxed muscles and welcome pain relief. Yes, ultrasound therapy is used to look at babies in the bellies of expectant mothers. Although most known for that benefit, it can also be used to generate vibrations deep in the body’s tissues. This spurs cells to regenerate more quickly, speeding up the healing process. We can’t all be Olympic athletes, but we can rehab like them. Regardless of your athletic prowess, Kinesio tape can be used to support the joints and muscles while maintaining their full ranges of motion. This decreases swelling, provides healing support, and reduces pain. 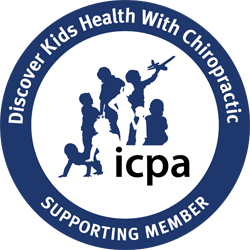 Our knowledgeable chiropractors offer a variety of specialized adjusting therapies, including the Gonstead technique, Thompson technique, Webster technique, Cox technique, diversified technique, and non-force technique, amongst others. With so many techniques in our proverbial toolbox, we can select the appropriate chiropractic therapy for your situation. You’ve tried treatment after treatment for your chronic pain, but nothing seems to be working. That’s where our new Class IV laser therapy treatment comes in. Class IV laser therapy is a painless, non-invasive solution for chronic pain issues like back pain, arthritis, soft tissue injuries, and tendonitis. While some treatments simply mask your pain or address your symptoms, our new Class IV laser therapy treats the underlying condition to promote long-term healing. With no known adverse effects, Class IV laser therapy is extremely effective for chronic pain patients who are fed up with the status quo. Muscle overuse is incredibly common, often leading to painful conditions like carpal tunnel syndrome, shin splints, and sciatica. The patented Active Release Technique (ART) is a soft tissue-based massage technique that treats overuse in muscles, tendons, ligaments, fascia, and nerves. During an ART session, a certified practitioner uses his or her hands to evaluate the texture, tightness, and movement of the affected area, correcting the problems of each individual patient with a fully customized treatment. If you are considering surgery, see us first. There are many injury situations where surgery can be avoided. And if surgery is necessary, we have the therapy know-how to help you recover faster. Contact Loehr Chiropractic & Acupuncture today to schedule an appointment.